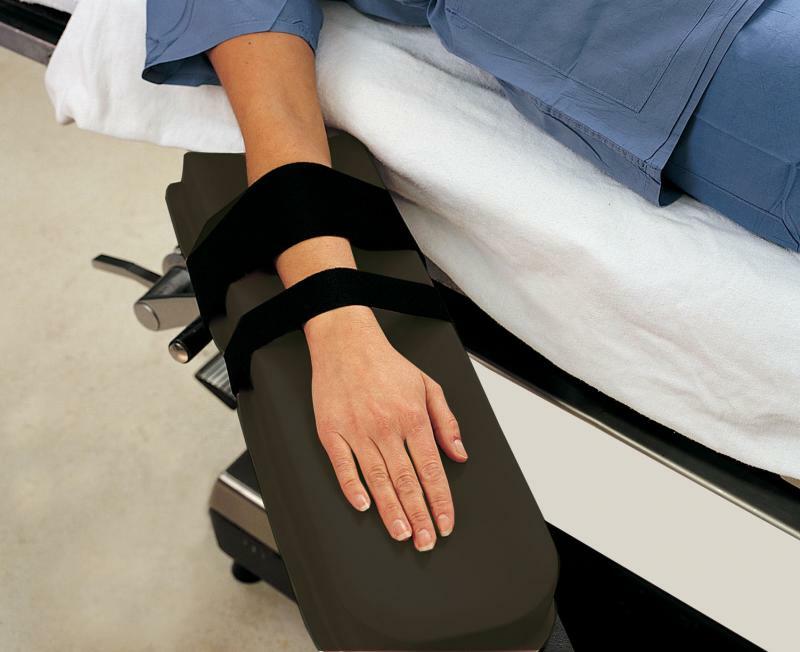 Healthcare Positioners is the leader in reusable surgical AirSoft positioners and straps that provide a safe and soft interface pressure for your patients within all perioperative environment. 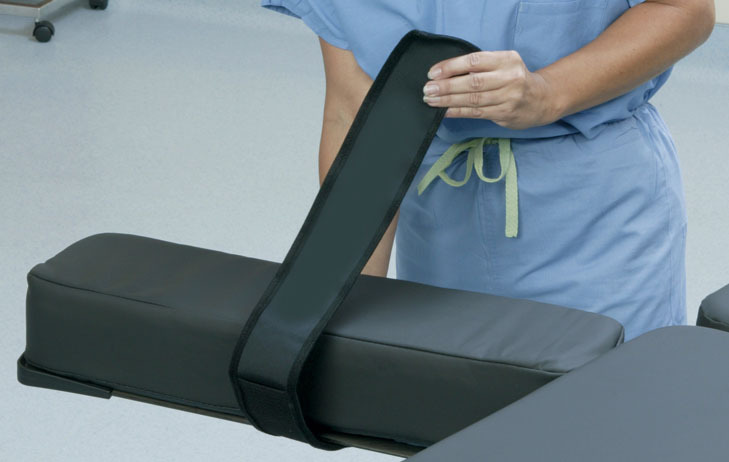 Softee Straps help prevent injuries during perioperative procedures Softee® straps were designed by leading positioning experts to provide soft, injury resisting restraint during all phases of perioperative surgery. 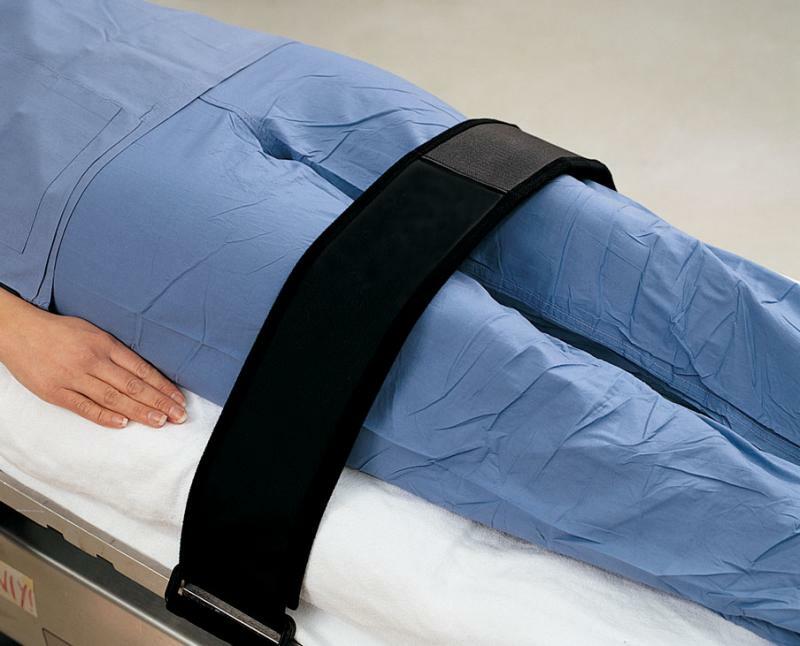 By preventing serious injuries that cause nerve, skin and muscle trauma, you can keep your patients safe and avoid costly law suits. Softee® straps are re-usable, durable and easily cleaned. 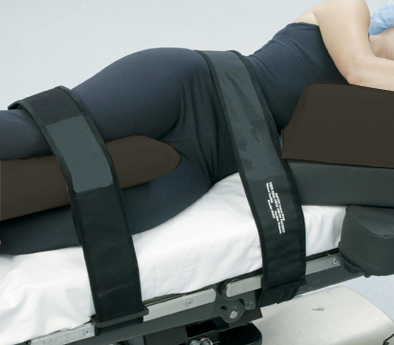 • Patented design by positioning experts. • Meets A.O.R.N. safety standards. • Saves you money because they’re re-usable, durable and easy to clean. 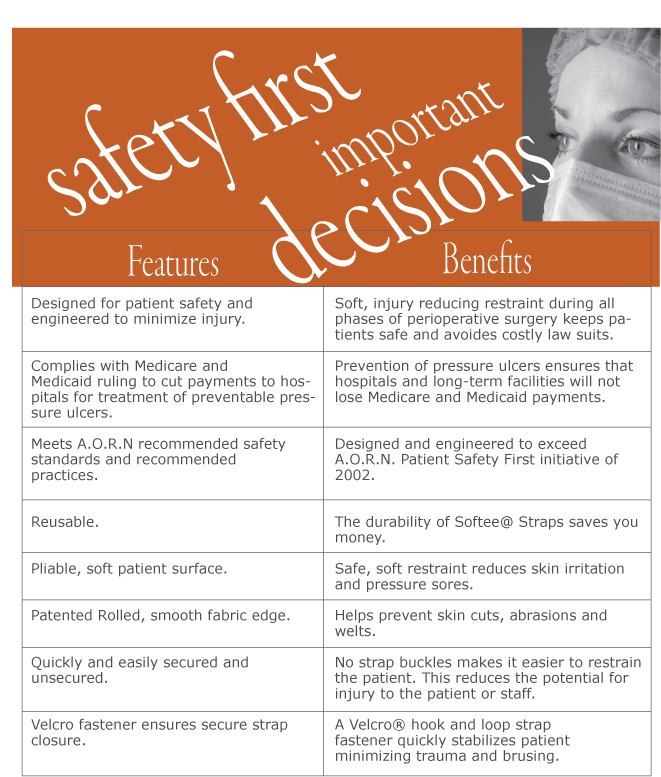 • Soft, injury reducing restraint during all phases of perioperative surgery keeps patients safe and avoids costly law suits.